Phaedra Ellis-Lamkins is a social justice advocate, businesswoman and community organizer dedicated to making measurable change. Prior to cofounding Promise, a de-carceration startup that works with government agencies to keep people out of jail, Ellis-Lamkins worked with the musician Prince and led the effort to secure ownership of his masters. She has lead a number of labor and social justice organizations, such as the South Bay AFL-CIO Labor Council, Working Partnerships USA and Green For All. 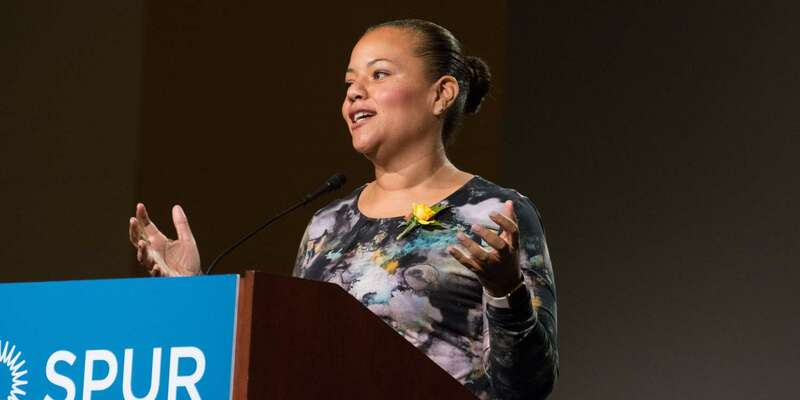 A current board member of the Tipping Point Foundation, Ellis-Lamkins has been recognized as a Young Global Leader by the World Economic Forum, one of the 25 most Powerful Americans by Ebony magazine and one of the 100 most powerful people in Silicon Valley by San Jose magazine. 2018 Silver SPUR Awards: Phaedra Ellis-Lamkins from SPUR on Vimeo.